Trumpcard is a former Tasmanian yacht constructed by Arthur Budd in 1985 of cold-moulded Mahogany. Whilst in southern waters, Trumpcard raced in several Melbourne to Hobart, Melbourne to Devonport and two Sydney Hobart Yacht Races. Since moving to Queensland, Trumpcard has completed several Brisbane to Gladstone, Brisbane to Keppel and Airlie Beach Race Weeks as well as enjoying regular cruising adventures. The crew of eight have sailed together for many years and includes two father and son combinations. 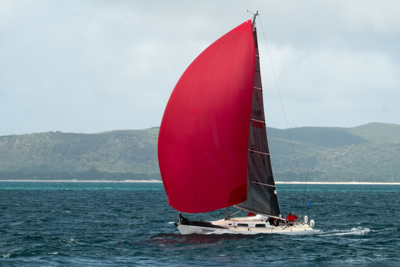 “The crew are looking forward to the race day, the challenge of sailing south to Hobart and participating in the spectacle at the finish,” says Boulton.